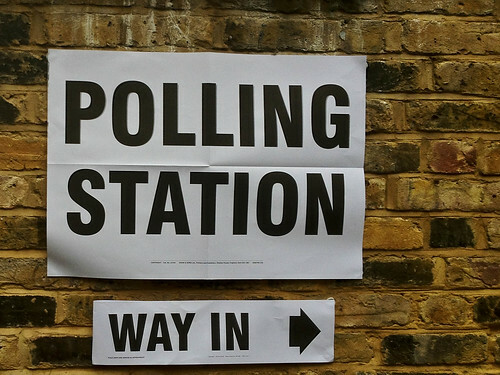 Left far behind at the polls – that is the only reasonable conclusion to be drawn from the latest outing of the political formations to the left of Labour in local May 2012 elections. Despite the age of austerity and workers paying for a crisis not of their own making, the radical left could not make any hay out of the situation. This is not only desperately bad but desperately frustrating. And, given that the crisis has being going on since 2008, it is a little too late to talk of any sense of putting down markers for the future. The radical left should already have been put down, especially as the future is here and now. Beforehand, there was much hope that the ripples of the Bradford spring – following Galloway’s victory in the parliamentary by-election – would wash out to elsewhere. No such effect was discernible other than in Bradford where Respect won five council seats. Indeed, Respect barely stood anywhere else and without any candidates being elected. Its old heartland of the east end of London has withered on the vine. Other than three individual successes for the radical left in Preston (Michael Lavalette TUSC), West Dunbartonshire (Jim Bollan SSP) and Walsall (Peter Smith Democratic Labour Party), the election was a wipe out. Even worse was that former MP, Dave Nellist, lost his seat in Coventry after fourteen years as a sitting councillor. The Trade Unionist and Socialist Coalition (TUSC), standing 134 candidates in 133 wards in England and Wales, received just 21,046 votes. Eighty of its candidates got less than 5% of the share of the vote and only ten got more than 10%. Tony Mulhearn’s candidature in the Liverpool mayoral contest received 5,000 votes. In the Greater London Assembly elections, TUSC gained just 17,686 while UKIP, the BNP and National Front collectively gained 155,000 votes. Pointing out the odd good vote in Glasgow, Barnsley, Cambridge, Salford, Sheffield, Lewisham and so on does not change the dimensions of how bad the situation actually is. So what explains the pitiful outcome of this latest electoral outcome for the radical left, and especially when things are so different in Greece, Portugal, Germany and France? In one word: credibility. It was not the lack of the right political programme or set of policies or election manifestos that has any bearing on the situation. The difference between wanting to fight most of the cuts and all the cuts would be lost on anyone but the most vigilant voter. But it was the credibility of the programme, policies and manifestos – as well as the organisations and individuals who authored them – that explains the gap between the widespread anger and the lowly number of votes. Put very simply and bluntly, no one on the radical left can hope to stand in an election and get elected – let alone just do well – by running an election campaign that lasts for a matter of weeks or a few months in the run up to the election. To have any chance of doing well, candidates and their organisations must have a widely-known and high-profile track record of effective and successful campaigning. The organisations must exist in a genuine sense between the elections, not just being dusted off a few weeks or months before the election (and since the last time). Of course, there is an exception to every rule. This exception is one George Galloway. But he is actually the exception that proves the rule. His election campaign started just weeks before the vote but because of who he is – rather than just what he was saying – he was able to tap into a series of networks as Helen Pidd’s reporting in the Guardian made clear. Galloway’s credibility allowed him to speak to people who normally would shut their eyes and ears off to such a radical message. And, of course, it has taken Galloway years of high-profile activity to be able to stand as a candidate from outside of the mainstream parties and beat them at their own game. This was true with the rise of Respect and his election in 2005 to the Bethnal Green and Bow seat in London. The only other exception is recent times has been the Scottish Socialist Party from 1999 to 2004 under the leadership of Tommy Sheridan. His and the SSP’s prominence were built on the back of not just the anti-poll tax revolt but all the campaigns since them. Long journeys start with small footsteps but the radical left should already have been in a position of being ready for lift off on 3 May 2012. Previous PostBoth Sides the TweedNext PostFrance: After election win, what course will Francois Hollande take? Gregor has the general sense here. But I would also add that it is not just ‘campaigning’ over a period of time. With the existence of mass media and people spending more time in the home than in social activities at or stemming from work, it is important to ‘meet people on the doorstep’. This could be part of a ‘campaign’. But if a campaign is just a stall in a street and a public meeting, support for an issue etc., then a critical point of building support is being missed. Hard work of this type is necessary along with policies.